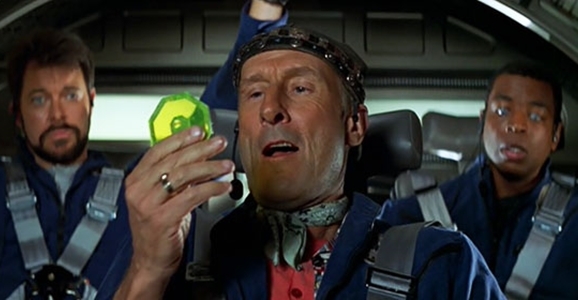 Actor James Cromwell already had a long and respectable Hollywood career when Star Trek: First Contact released in 1996, but that film assured him a place in the Geek Pantheon by casting him as Zefram Cochrane, the first human to invent warp drive. In First Contact, the Next Gen crew crosses paths with Cochrane after some shenanigans involving time travel and the Borg, and the film’s conclusion has Cochrane completing his first warp flight and in the process attracting the attention of the Vulcans, thus leading to the first contact of the title. Riley ends up working with her ex-boyfriend, whom she encounters when she and Gabriel travel to Syria and pose as Secret Service agents in order to free two American journalists being held hostage.